Cracks in exterior walls are a sure sign that there’s something wrong with the foundation. In particular, stair-step cracks in brick walls or mortar joints, or vertical cracks that are getting wider, are clear indications. Similarly, significant cracks in any exterior floors–such as a garage or carport, or concreted areas in the backyard–are likely to be caused by problems such as ground settling or soil erosion. And if these outdoor areas are showing signs, it’s possible that indoors the concrete slab foundation is cracking too. Either indoors or outdoors, signs of water where it shouldn’t be might indicate a problem with the foundation. Look for signs of water in the basement or floor-level crawl spaces or around the exterior perimeter of the house. 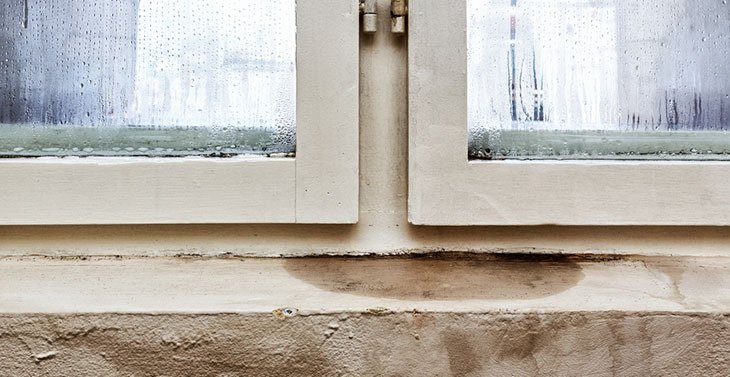 Inside the home, foundation problems tend to cause cracks near windows and doors. As well as this, windows and doors may have their own problems. In a home with a problem foundation, doors and windows may be out of alignment, may be difficult to open or close, or might swing open for no apparent reason. If the home has a chimney that was built at the same time as the house, it’s possible that the chimney might be sharing the foundation. Because of this, any signs that the chimney is settling or leaning might be an indication that there are problems with the foundation. Gaps in the seams where walls meet or where the walls meet the floor or ceiling indicate that strong force is being exerted to pull these seams apart. It’s likely that force is being exerted by a shifting foundation. When you view properties, bring a small item such as a marble or a pen–something small that rolls easily. This is the simplest and fastest way to see if there are any uneven floors in the house. Just drop the item on the floor and watch which way it rolls. Uneven floors aren’t always a sign of problems with the foundation, but if, for example, you notice drywall cracks in a room with an uneven floor, that could be a strong indication. All of these signs could indicate the presence of foundation problems, but there are other possible causes. If you notice any of these issues in a house you’re interested in, the next step is to hire a professional inspector/inspection company to examine the problems more closely. A home inspector, or perhaps a structural engineer, has the expertise you need to find out if there are serious foundation problems in the making, or if the signs you’ve noticed are caused by a minor issue that’s easily repaired. And whatever the outcome, we’re always happy to help! If you buy a new home and have questions about the foundation, drainage, or another issue, please don’t hesitate to contact us. And congrats on your new home!